“This Site Can’t be Reached” is a common error that we’re sure many of you encounter at least one time when browsing websites in Google Chrome. This error can occur due to two main reasons. One is the internet connection problem on your device and the second comes from the website you are visiting when it is literally down. Google is trying to enhance the browsing experience for its users by redesigning Chrome browser to the material design. However, common errors like “This site can’t be reached” still happen and this error might also occur because of DNS server failure. “This Site Can’t be Reached” error is a common error caused by DNS servers when they are not working properly and you need to reset them. Here are the best solutions to solve this error on Google Chrome. Firstly, we are going to fix this error for Windows users. These solutions are very simple and can be applied by even non-technical people. Press Windows + R buttons to open Run. Now, find the DNS Client services, right-click on it and choose Restart. Select properties of the network with which you are connected. Choose TCP/IPv4 properties and then set your DNS server to Google’s DNSor Open DNS as the image below. This solution might be useful for solving your problem since it might be the DNS causing the “This site can’t be reached” error. You will then see a “flushed the DNS Resolver Cache” message. Another cmd trick that can help to solve “this site can’t be reached” error is simply resetting the TCP/IP of your computer. Open cmd as Administrator and then execute the following commands. Restart your computer after executing all the commands and then check whether the error has gone. Mac has its own web default browser, called Safari and half of the Mac users use it. However, there are still many Mac users preferring to use Google Chrome as the primary web browser. Similar to Windows, you can also change DNS servers in your MacOS. Simply follow the methods below to fix “This site can’t be reached” error in Google Chrome. Go to System Preferences> Network. If the above method could help to fix the error if you should then try changing the TCP/IP4 in your Mac. Simply do the following steps to fix “This site can’t be reached error” in Chrome. 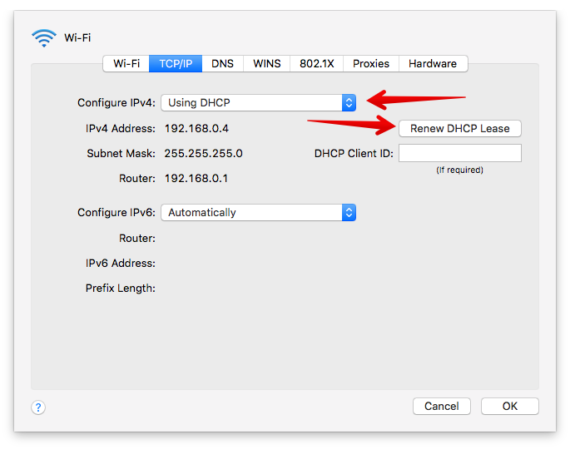 Choose TCP/IP > “Using DHCP“. Remove all the entries in the DNS tab. You can fix this error with Chrome browser in your Android device. Android also has DNS services but they are abstract. 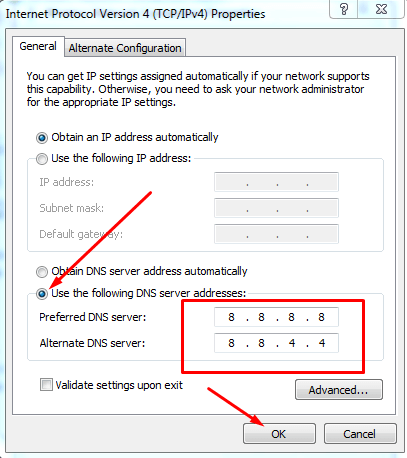 You can then change the DNS server directly from settings or install any DNS changer app to change the DNS. Alternatively, you can use these methods below to fix “This site can’t be reached” error in Chrome browser in your Android device. First, clear browsing data of Chrome and it might be a good solution to help you fix this “This site can’t be reached” error. Here are the simple and easy steps to do this. Open Chrome browser and tap on the three vertical dots in the upper-right corner and head to history. Choose all options in Basic & Advanced Tabs and hit Clear Data. Scroll through all the way and tap on Google Chrome. From app detail screen, select Storage. 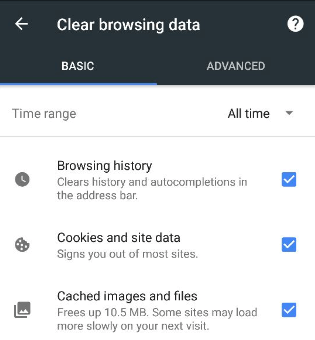 Select both Clear Cache and Clear Data. Reboot your phone and start again. Restart your router if possible. In Chrome error fixes, we’d like to help you fix these types of errors in Ubuntu platform, apart from three system OS listed above. With Ubuntu, there are two ways to solve “This Site Can’t be Reached” error, by either changing the DNS or restarting the network manager. Here are the potential working solutions. Similar to cmd on Windows, all the Linux distribution has its own Terminal. You can easily fix this error with a simple command. Enter the command: sudo service network-manager restart to execute it. From the lower-right corner, head to the WiFi/Ethernet option by clicking on it. Next, choose the Network Connections. 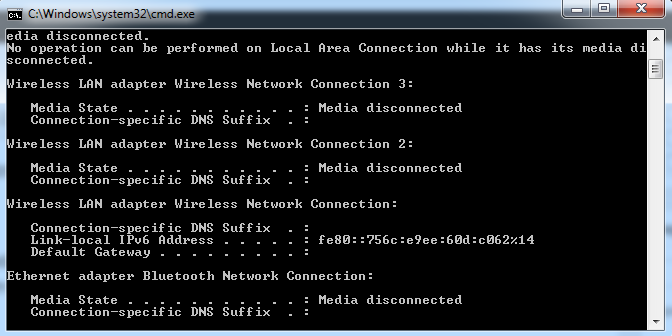 Lastly add the Google’s DNS/Open DNS listed above in the “additional DNS services“. Click Save and you have successfully fixed the error in Chome. You should know that the problem is originated by your side. The error might come from the server side where the website gets down due to glitches. So, you should check that website from different devices and if the error happens the same, it is not your device fault. It is the website, which is showing DNS server error.